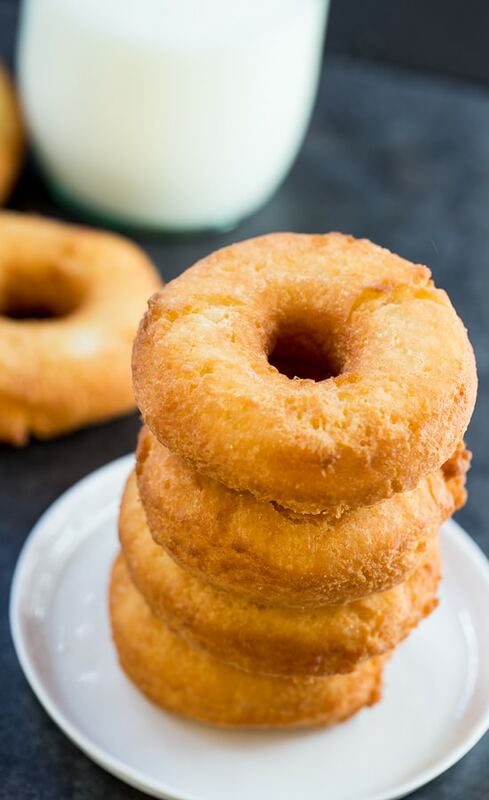 These Old-Fashioned Buttermilk Doughnuts take a little time to make, but they take no time at all to vanish. They have a simple, but delicious taste and are incredible eaten while they are fresh and warm. Kids will love them with a big glass of milk. Adults will savor one or two with a cup of coffee. 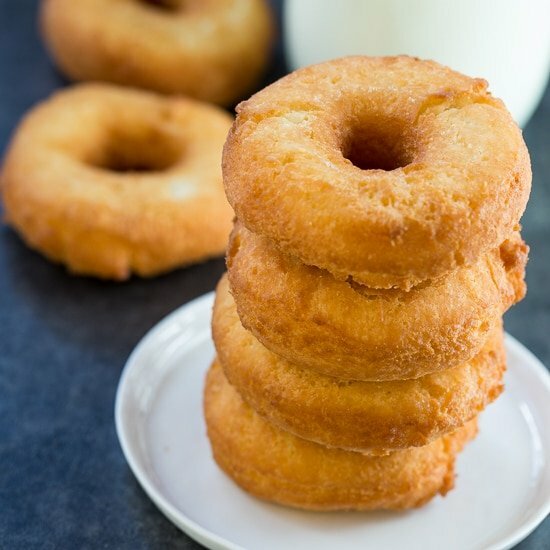 If you have guests over for the holidays, a batch of homemade Old-fashioned Buttermilk Doughnuts will make them feel like royalty. They are also a special treat to make for when one of your kids has a spend the night party. I love to eat them plain, but you can make a simple cinnamon sugar to coat them with. Left plain, they are not too sweet and the flavor of the nutmeg shines through. This was my first attempt at making doughnuts and I can’t wait to make more. This Buttermilk Doughnut recipe is from Cook’s Illustrated and I find their recipes are perfect for learning to cook something new because they always seem to work. 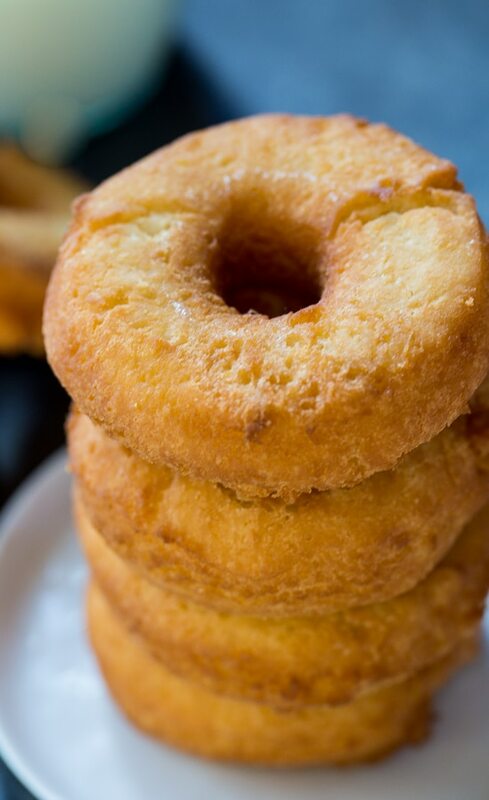 These Buttermilk Doughnuts are deep fried, but not at all greasy. Like all Cook’s Illustrated recipes, every conceivable method and mix of ingredients was tried before they decided on the best recipe. 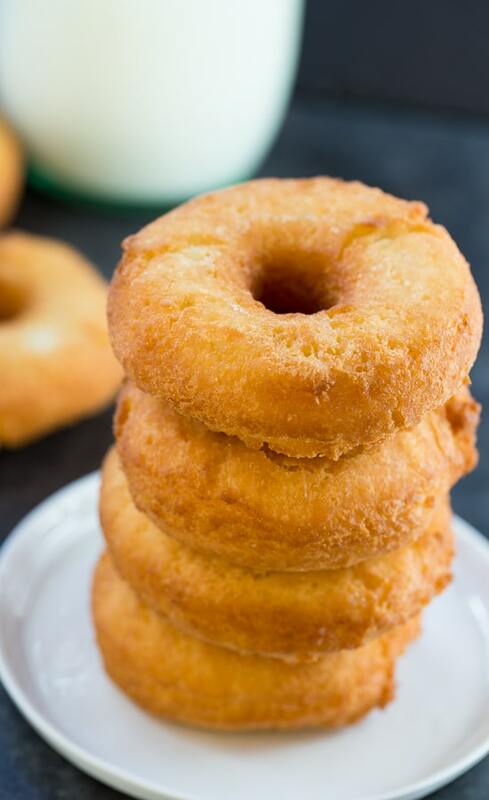 After trying numerous cooking oils and mixtures of oils, they felt that frying in vegetable shortening (Crisco) created the best flavored doughnut and the least greasy doughnut as well. As long as the shortening is kept at the right temperature, these doughnuts are not at all greasy. The dough is actually pretty easy to make and requires no yeast, just baking powder and baking soda. To cut the dough out, use either a Donut Cutter or a large and small biscuit cutter. Use a stand mixer with a paddle attachment to mix together 1 cup of flour, sugar, baking powder, baking soda, nutmeg, and salt on low speed. In a 2-cup liquid measuring cup, combine buttermilk, butter, and eggs. Add wet ingredients to the dry and mix on medium speed for about 30 seconds. With speed on low, gradually add remaining 2 1/2 cups flour, mixing just until combined. Stir batter with a rubber spatula a few times just to make sure everything is evenly mixed. Dough should be moist and tacky. Place shortening in a Dutch oven and heat to 375 degrees. Place dough on a lightly floured surface. Flour a rolling pin and roll dough out to a 1/2-inch thickness. 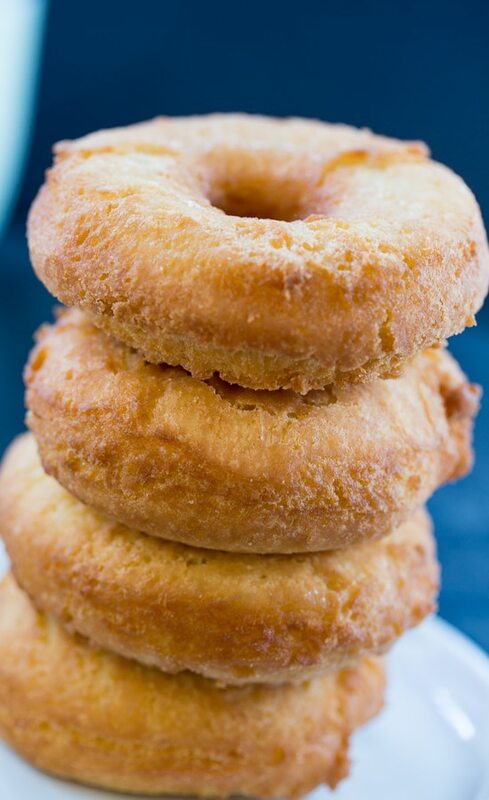 Using a heavily floured doughnut cutter, cut out rings, reflouring the cutter each time. 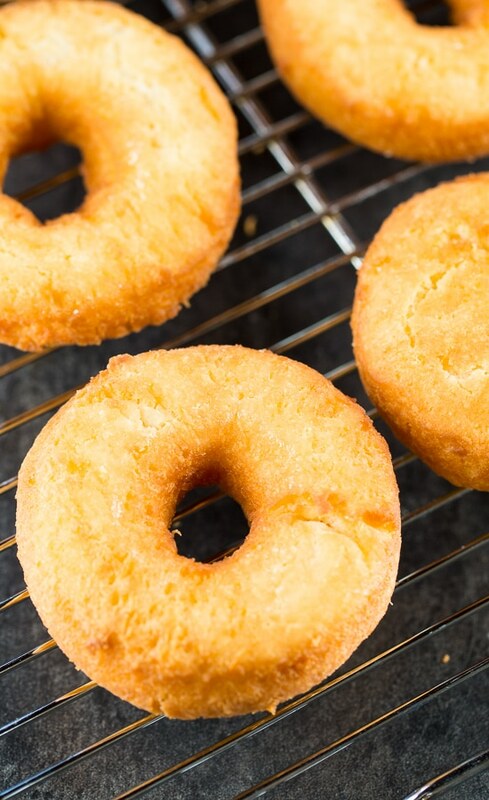 Gather scraps together and roll out again to cut more doughnut rings. Cook 4 rings at a time, flipping them over as they rise to the surface, about 50 seconds per side. Drain on a wire rack. Before frying another batch, make sure oil temperature has returned to 375 degrees. You might want to break the first doughnut apart and make sure it is cooked all the way through before removing the others from the oil. Can this recipe be halved? I want to make some but I’m afraid some would go to waste. I feel like a step was missing. The batter was in workable even when I added extra flour. Are we suppose the refrigerate the batter before cooking? I’ve tried to make this twice and both times I had to throw away the batter. You can find it in the baking aisle with the cooking oils. Can you leave out the nutmeg, & make a glaze to put on them? You can leave the nutmeg out, but I might add some cinnamon for flavor. Yes to the glaze! These look like the perfect treat with a cup of coffee on a lazy Sunday morning. Oh these look so scrummy! I just love homemade donuts! These look fabulous! I still haven’t made homemade doughnuts! Love these old fashioned favorites! Pinned! Doughnuts have to be in my future this is the second recipe in two days that seems to have my name written all over it. I also happen to have some buttermilk I need to use. Lovely recipe Christin, they look perfect and sound delicious. Merry Christmas.